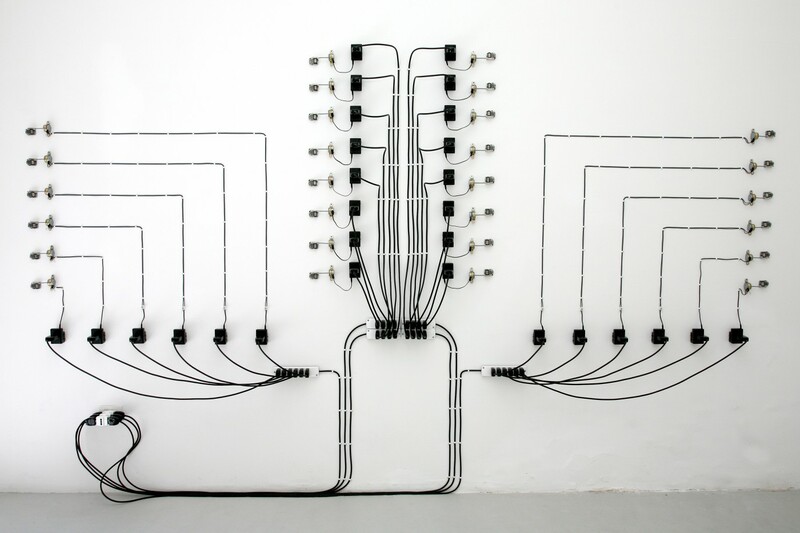 T293 is pleased to announce a solo exhibition by Alberto Tadiello (Montecchio Maggiore, 1983). 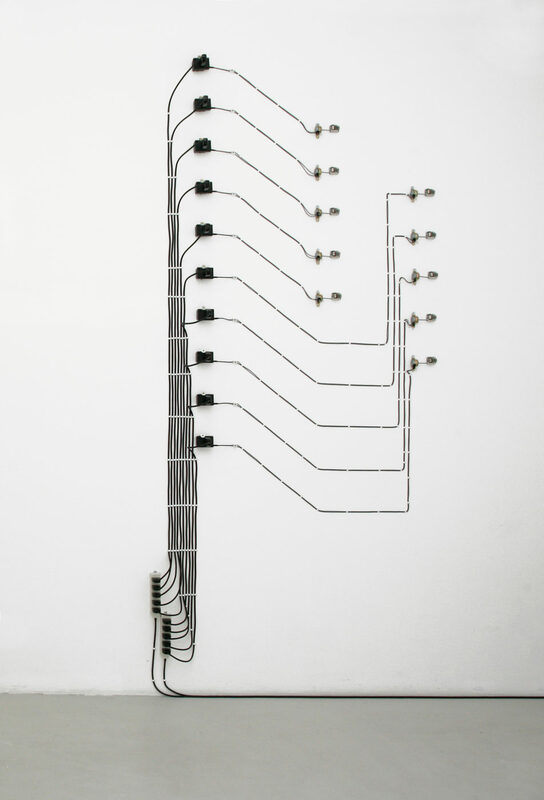 Alberto Tadiello’s works explore the possible forms of autonomous function associated with different objects and mechanisms as they undergo a parossistic conceptualization of their own functional logic. This logic is altered and tampered in order to start reflecting upon those deeper and psychological aspects which connect people to things and technologies. An EPROM (Erasable Programmable Read-Only Memory) is a type of computer memory chip that can be erased and re-programmed variously, but for a limited amount of times. 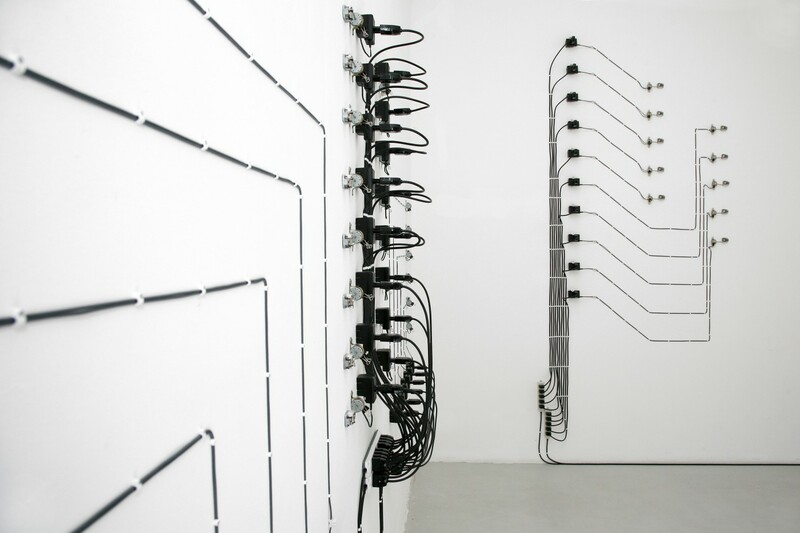 Following the form and function of the EPROM, Tadiello’s installation is based on a number of traditional music boxes directly fixed on the wall, activated by electric motors and each one connected to a transformer. Moved quickly by the mechanisms, the small cylinders reach a high-speed rotation, which they usually can’t stand up to, unavoidably wearing them out. As a result the fairy-like sound and the rhythm overturn and change into an unpleasant excess. Once the pawls wear out the noise slowly becomes less noticeable and even indistinguishable. The high-speed movement is associated with a sort of cathartic event, which relieves the music box interface from bearing nostalgic feelings.